French studio Atelier Zündel Cristea had won the first prize in the international competition coordinated by ArchTriumph, which invited applicants to suggest how to remodel London's Battersea Power Station. 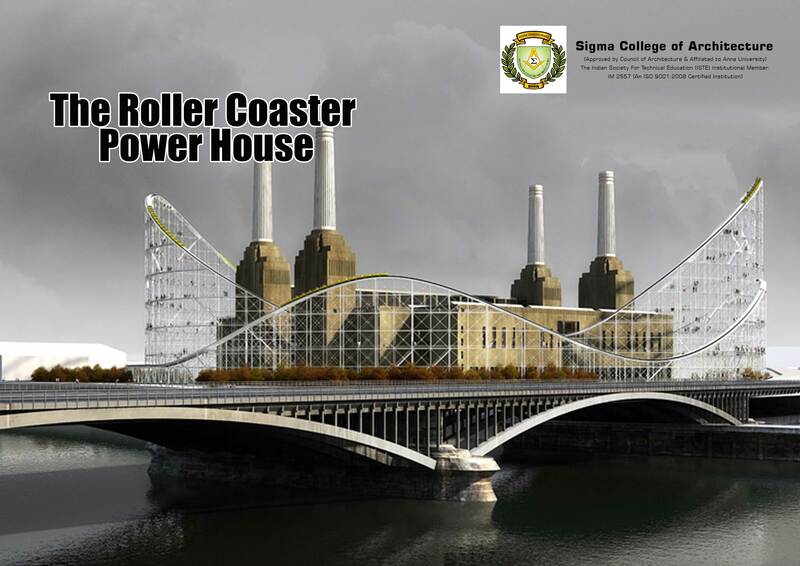 The designed would transform the power station into a museum of Architecture and surrounding it would be a giant roller coaster. The initial power station was designed by architect Sir Giles Gilbert Scott in the 1930s and for well over 50 years it generated electricity for London. After it's decommission the province has been used as a complex of apartments, shops, offices and a theatre.